Looking for a heating oil supplier you can count on? We provide same day & next day deliveries for businesses and homes throughout the UK. As the weather begins to turn cold, the first thing we all like to do is turn up the thermostat and feel that reassuring warmth throughout our homes and businesses. However, if you’re running low on heating oil, there’s nothing worse than not knowing when you’ll be able to get your storage tanks refilled with heating oil. As so, it’s important to check your heating oil levels in your storage tank(s) regularly to ensure you never run low or worse still, completely out! 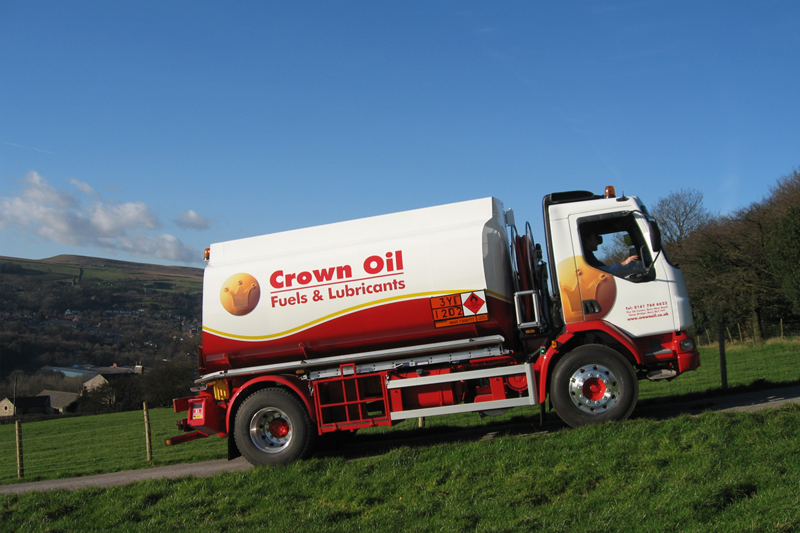 Crown Oil have been supplying a whole range of fuels, oils and lubricants including heating oil to customers across the UK for over 70 years. If you rely on heating oil, you need to ensure you’re putting your trust in a reliable supplier of heating oil. If you would like to discuss your heating oil requirements with us, give our friendly team a call today by calling us on 0845 313 0845. 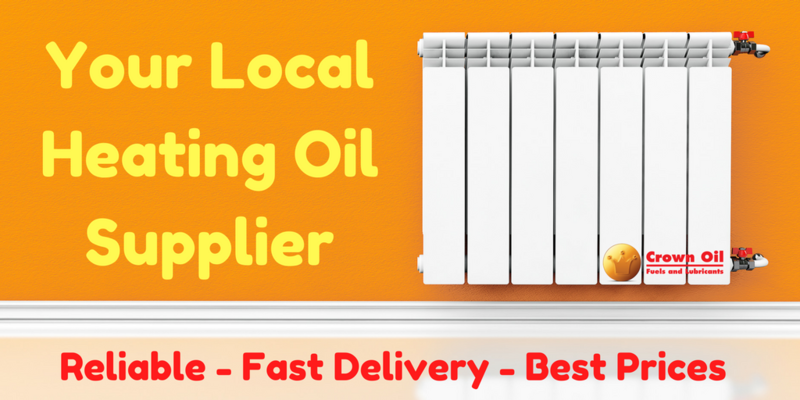 Whether you’re a domestic customer or a business or organisation ordering heating oil. Ordering from a local heating oil supplier is often preferential due to the time of year and weather conditions. Nobody wants to get left without fuel for heating, so knowing your supplier is a local company can often give many people the peace of mind and reassurance they will get a timely delivery. Many of our customers tell us they turned to Crown Oil for our local heating oil deliveries, with our main hub in the Northwest. We also have fuel depots strategically placed across the UK, enabling us to provide a local heating oil delivery service to customers across the UK. Although we’re a national, UK wide heating oil supplier, our local fuel depot hubs with drivers with real local knowledge still ensure we’re able to give all of our customers a local service. We can supplier businesses and organisations across the UK from our local oil depots. For our domestic customers, our current delivery areas cover the Northwest of England. To request your local heating oil delivery today, give our team a call on 0845 313 0845, and one of our heating oil experts will be more than happy to help you. 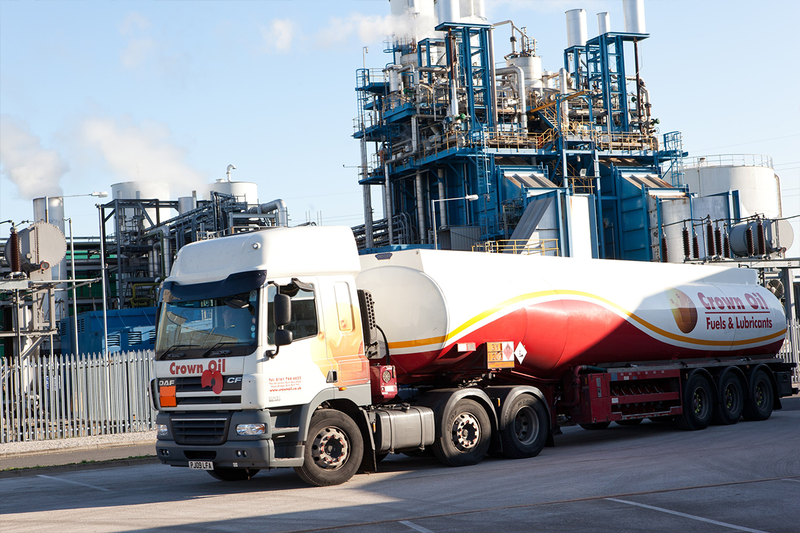 If you’re a business or organisation who cannot afford to run low on your heating fuels, we can supply you with an urgent delivery on a same-day basis to ensure you’re refuelled without delay. Our nationwide network of fuel depots can get to work supplying your emergency heating oil delivery today! So if you’re a business or organisation running low on heating oil, don’t delay, call us today on 0845 313 0845 ensuring you advise our team that you’re requesting an emergency delivery and we’ll do the rest. Unsure why you should buy heating oil from Crown Oil? If you’ve never ordered from Crown Oil before, it’s quick and easy to order from us and we’re always happy to welcome new customers. Our friendly team can help answer any of your questions and process your order for you. To get started, simply call us today on 0845 313 0845 and one of our friendly team will be answer any of your questions. 3. Benefit from our vast buying power with lower prices and lots of stock. 6. We can provide the most extended payment terms available in the industry; various payment methods accepted and flexibility. If you’d like to discuss your requirements or request a quote, you can do so by calling us today on 0845 313 0845 to speak with one our friendly and knowledgeable team. Alternatively, you can use our quote form on this page.